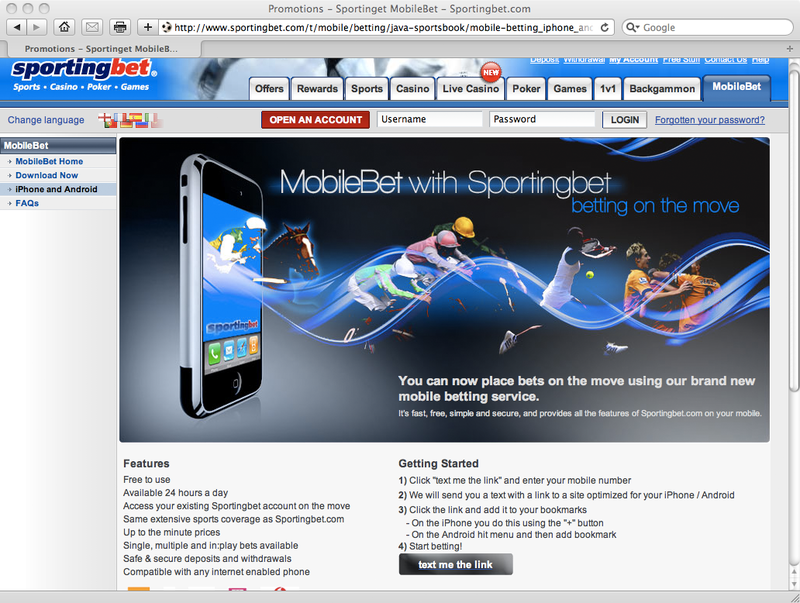 On Sportingbet you can use your iPhone and Android phone to place bets. They have optimized their site for the phones. The problem is getting started! You have to go too many steps and get an SMS to get started. It could work much simpler! When you want to play you have to go through four steps to do so. To me this is a way to complicated process. And below you see how I would have done it. In my redesign suggestion I’ve put focus on giving the player a fast way to get started. 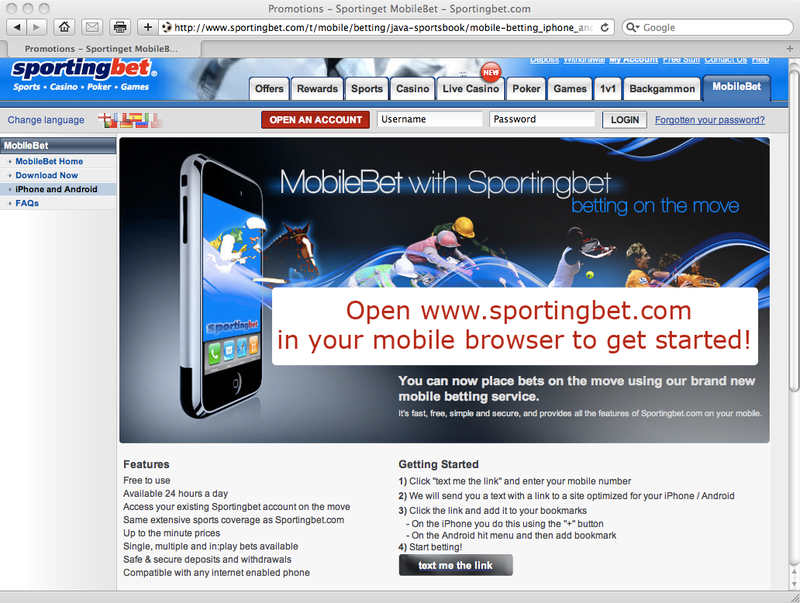 And in this case I’ve just given them a clear option “Open www.sportingbet.com in your mobile browser to get started!“. 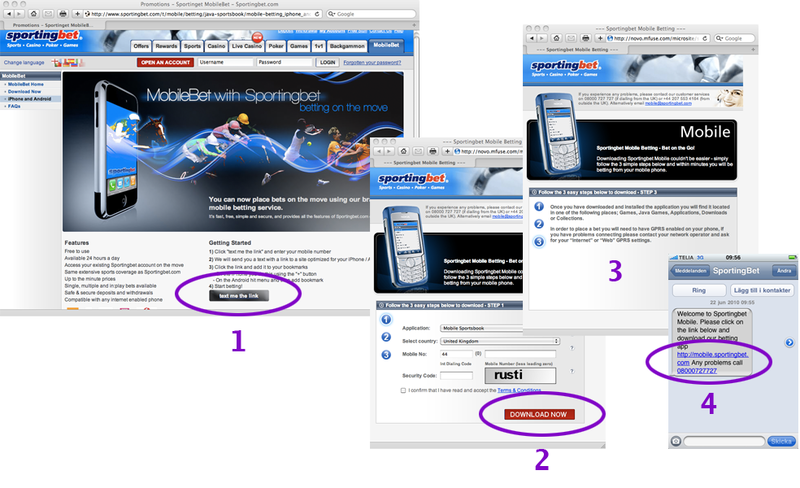 Doing it this way the player can get started much sooner than if he has to get an SMS and then get started.